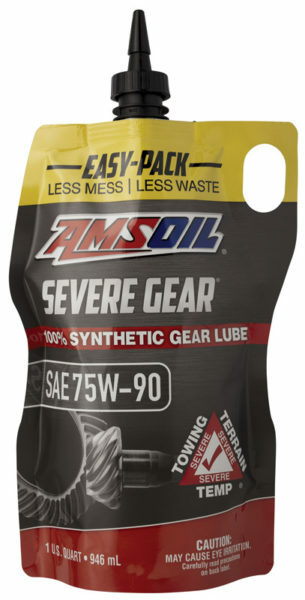 AMSOIL SEVERE GEAR® Synthetic Gear Lube In Two Popular Viscosities in Brand New Easy-Packs! Now you can get to those hard-to-reach differentials and gearboxes and upgrade your gear lube. With AMSOIL’s Industry-First Easy-Packs, you don’t need a pump or hose or any other hardware. Simply insert the nozzle into the component, squeeze the Easy-Pack, and you have just installed AMSOIL SEVERE GEAR® Synthetic Gear Lube. And the price of the new one quart Easy-Packs is the same as the quart bottle! 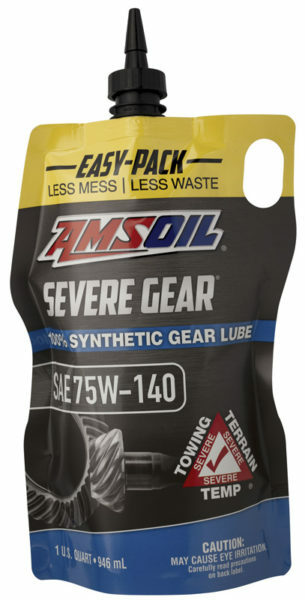 The new Easy-Packs have been created for enthusiasts and shop technicians who want a quick and easy way to change gear lube, and upgrade to AMSOIL SEVERE GEAR® Synthetic Gear Lube at the same time. Click here for our Gear Lube page, or on the pictures for the specific product.